CPTV is seeking entries for short films from local filmmakers. The films submitted will be nominated for inclusion in the eighth annual PBS Online Film Festival, a showcase for powerful and engaging stories from filmmakers across the country. The festival has become a popular annual online event, attracting more than 8 million video views over the past eight years, as well as nominations in the Webby Awards. The deadline for submitting a film is February 28, 2019 at midnight. CPTV’s panel of judges will nominate up to six local films for inclusion in the PBS Online Film Festival. Films must be three to fifteen minutes long for consideration. Films should be no more than three years old. There is no requirement for films to have not premiered elsewhere. PBS requires rights to stream the films on all PBS platforms, including social platforms. To be included in the PBS Online Film Festival, a film must have errors and omissions insurance. If a film selected for the film festival does not already have this insurance, a $500 stipend can be provided to filmmakers by CPTV to help with the costs. Please provide a Vimeo link to your complete film. You can email the link to PBSFilmFest@ctpublic.org. Applicants must also download and fill out the two following forms and email them along with the Vimeo link. Please attach the forms as Word documents or PDFs, if possible. If you have questions about submitting films, contact Carol Sisco at csisco@ctpublic.org. Entries will be judged by a panel of local judges including Joanne Whitehead, Senior Director of TV Programming & Operations for CPTV; Mallory Mason, Director of Content & Outreach for the YUPntwk; and Donna Sodipo, Senior Vice President of Education for Connecticut Public, among others. Since its launch in 2012, the PBS Online Film Festival has featured diverse films from PBS member stations, Independent Lens, and POV. Collaborations with public television producers, including the Center for Asian American Media, Latino Public Broadcasting, Black Public Media, Pacific Islanders in Communications (PIC), and Vision Maker Media have also been included. 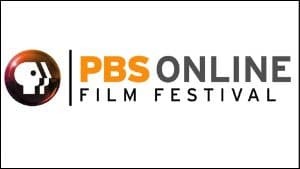 The 2019 PBS Online Film Festival will run from July 15 through July 26, 2019. The festival will be available for streaming via PBS and CPTV digital platforms, including PBS.org, YouTube, and PBS social media channels. The films will also be available via the PBS app on iOS, Android, and a wide range of OTT devices. To view the 2018 PBS Online Film Festival films, click here>>. Be the first to know about upcoming events, shows, news and more. Please take a short survey about your experiences with our programs and services. Ticket Contest: A Doll’s House at Long Wharf Theatre, New Haven!